The population explosion of the invasive Indo-Pacific lionfish (Pterois volitans and Pterois miles) in the Atlantic, Gulf of Mexico and Caribbean is a serious threat to coral reefs, with potential long-term consequences for native fish communities, habitats and entire ecosystems. 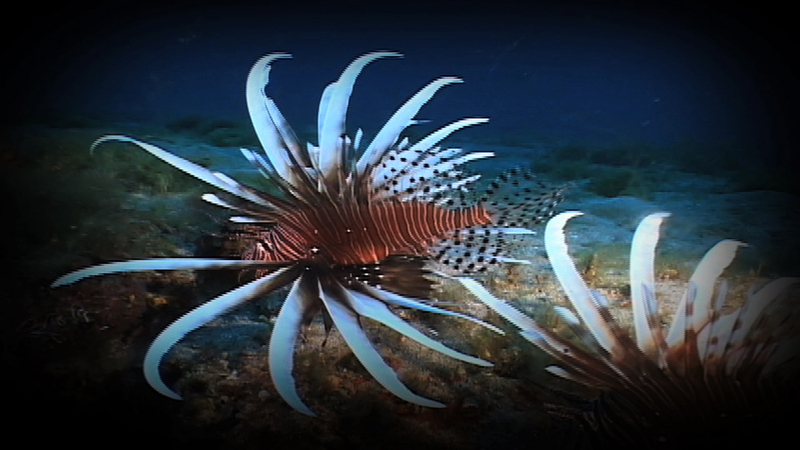 Lionfish are well-known for their venomous spines, rapid colonization rate and generalist preferences for both habitat and diet. 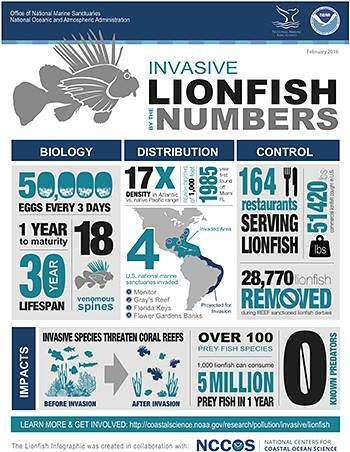 Invasive lionfish are capable of causing significant impacts to biodiversity and recovery of coral reefs, a result of their high densities and predation rates on native fish communities. 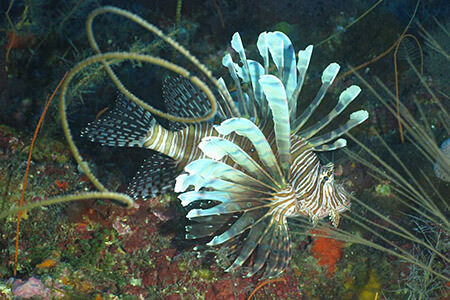 Four national marine sanctuaries have been invaded by lionfish – Gray's Reef, Florida Keys, Flower Garden Banks and Monitor. 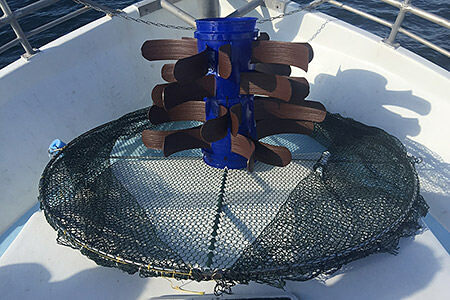 NOAA and its partners have developed and released designs for new lionfish traps that could provide the first realistic means of controlling invasive deep-water lionfish populations and support the development of a lionfish fishery. 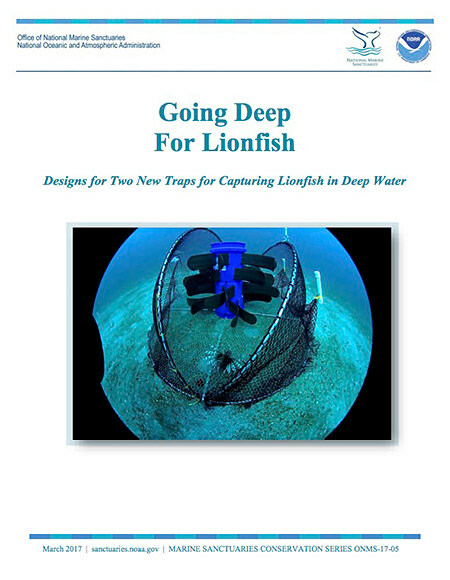 Learn more about the lionfish traps. The following resources can provide additional information on this issue. 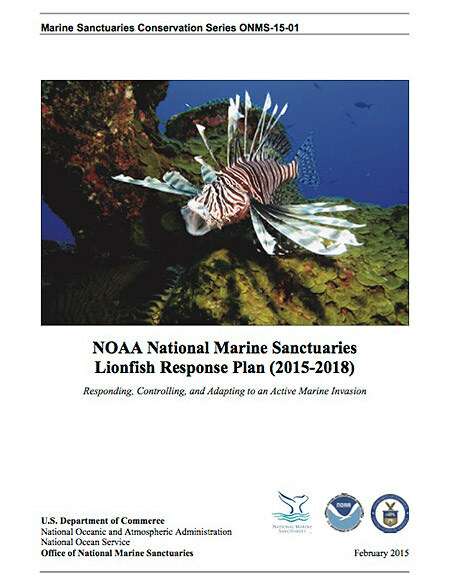 NOAA's National Marine Sanctuaries Lionfish Response Plan was developed in 2015 with the goal to minimize ecosystem degradation in affected sanctuaries. The plan recommends science, service, and stewardship activities for the affected sanctuaries. 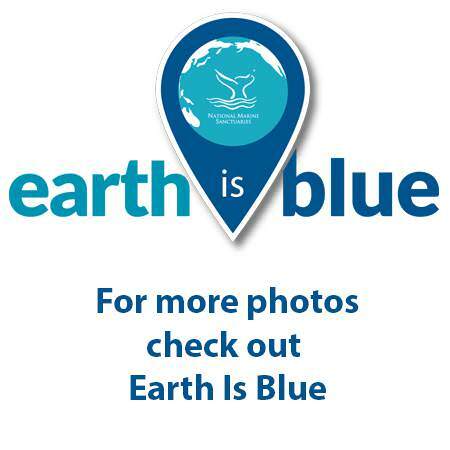 Since 1994, the Reef Environmental Education Foundation (REEF) has maintained an on-line educational section on non-native species as well as an on-line exotic species reporting page. Divers are encouraged to submit any sightings of non-native species via this sightings reporting form. Since 2006, REEF has been working in close partnership with government agencies and partners throughout the region to help develop lionfish response plans, train resource managers and dive operators in effective collecting and handling techniques and conduct cutting edge research to help address the invasion. 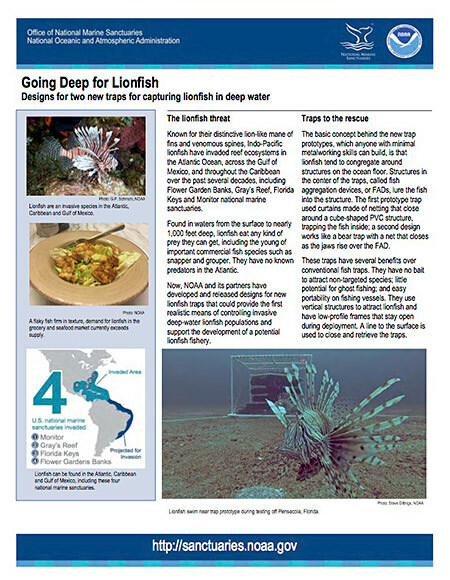 To aid in this effort, REEF currently enlists interested divers and snorkelers to join organized lionfish research and removal projects and encourages public participation in helping address the invasion. 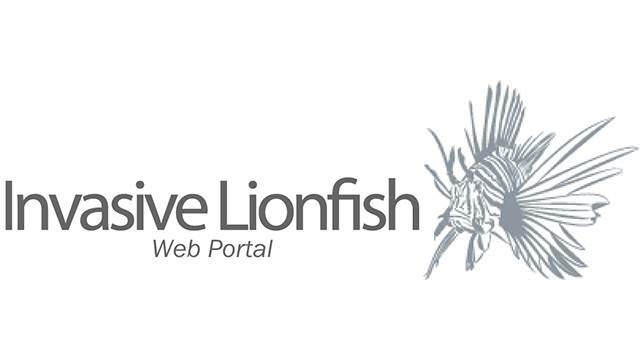 The Invasive Lionfish Web Portal is a clearinghouse for all vetted invasive lionfish information and serves as a platform to promote discussion and inquiry. 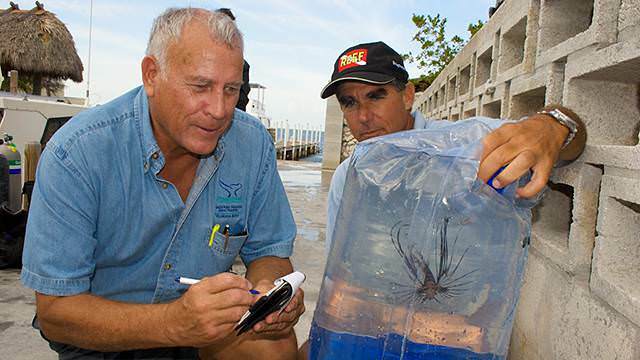 The authors of the Web Portal, which include U.S. federal employees, non-profit managers, research scientists, state biologists, professors, and Ph.D. students, bring a wealth of knowledge and experience on the lionfish invasion. 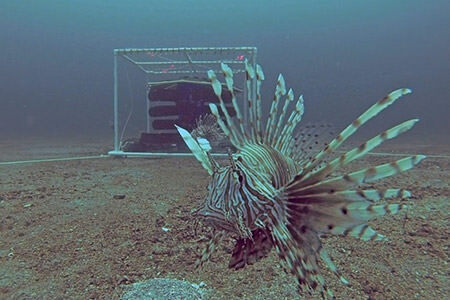 The National Centers for Coastal Ocean Science is conducting biological and ecological assessments of invasive lionfish to determine their impact on reef habitats and economies of the Atlantic. Their work includes interpreting the results of existing biological and ecological studies, identifying data gaps, mapping the distribution of lionfish, and assisting with development of management plans. 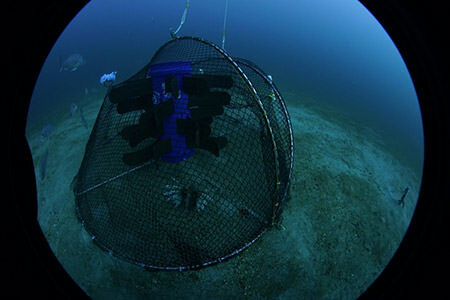 It is the first study targeting the invasion of Indo-Pacific lionfish along the US Atlantic coast. 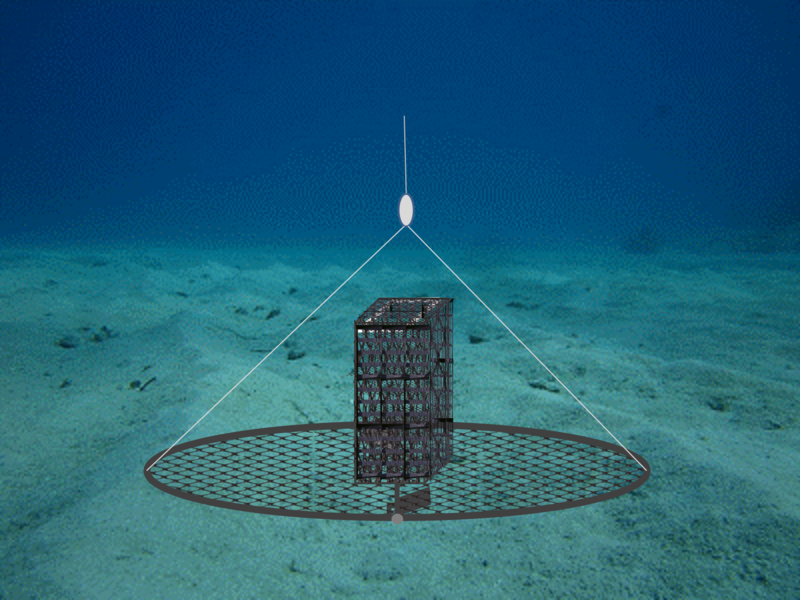 A closed "Dome Trap" prototype with a fish attraction device and a lionfish inside. 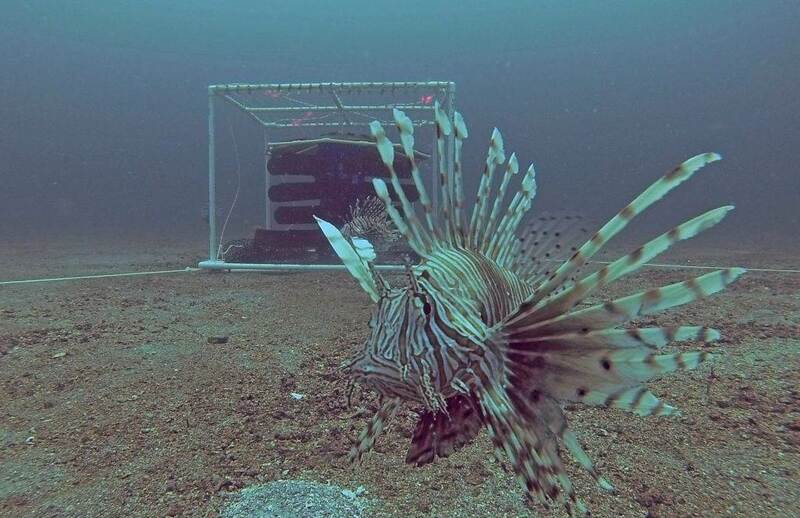 An invasive lionfish in front of a curtain-style trap. A diver swims near a "Dome Trap," named for its shape when closed. 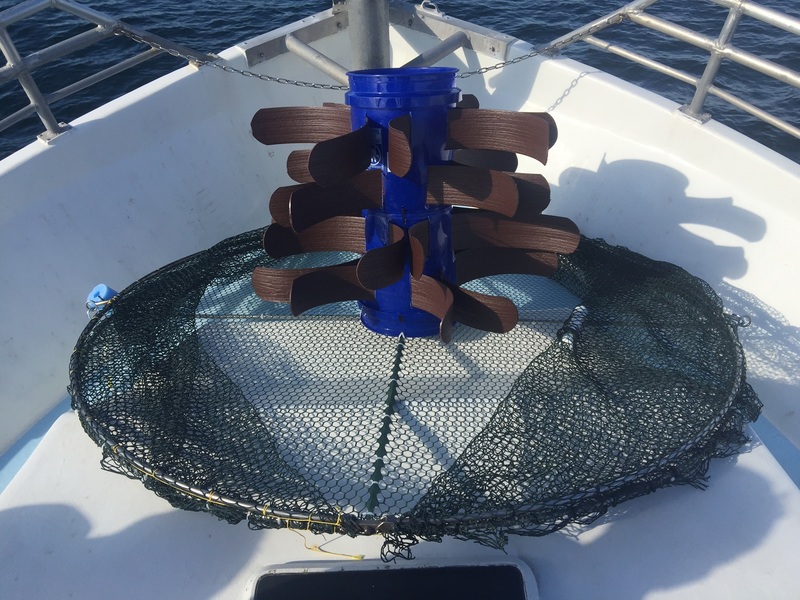 The trap has a circular base and two hinged half hoops that pivot from a horizontal to vertical position on hinges to close when the trap is retrieved. 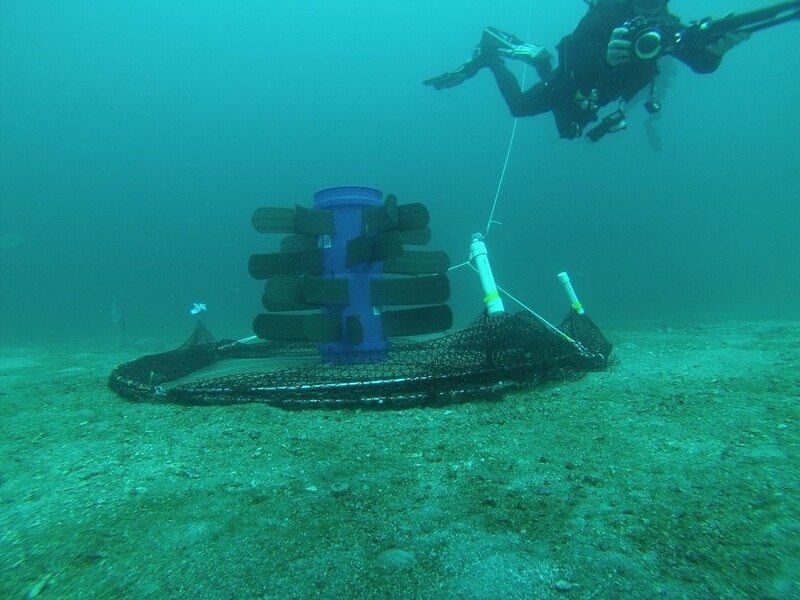 A close-up of the "Dome Trap" prototype with a fish attraction device. 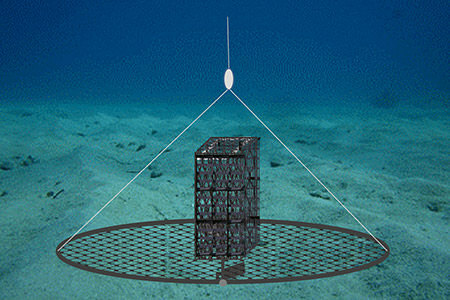 A rendering of a new "Purse Trap" design being developed to reduce drag when lowering and raising the trap. 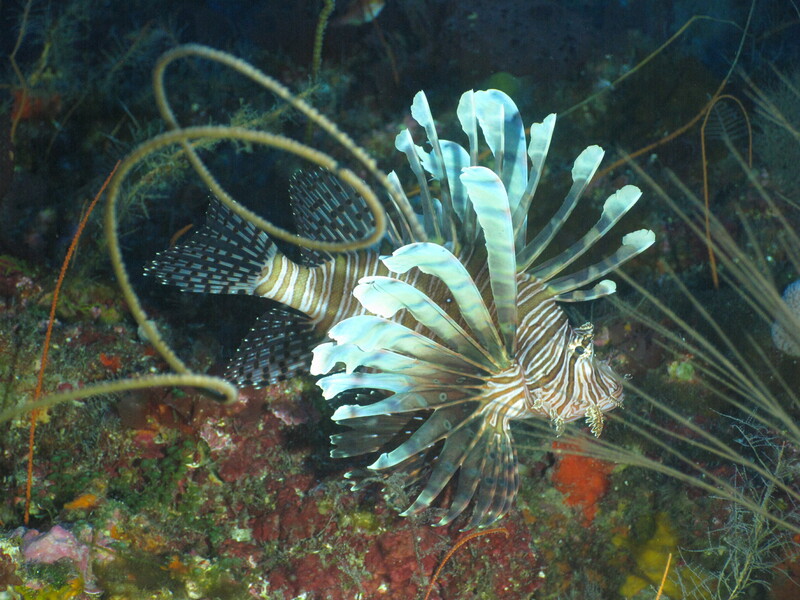 An invasive lionfish at a reef in Flower Gardens National Marine Sanctuary. 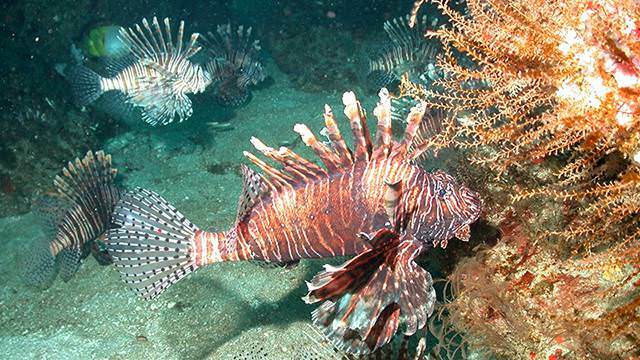 Why are lionfish a growing problem in the Atlantic Ocean? What ornate reef dweller is sometimes known as the turkeyfish?